Cities are amazing places with their constant reinvention. Many of us feel the pull to work on urban issues because of the complexity of challenges, the tangible nature of seeing results, and the undeniable fact that cities are where society comes directly into play with economics, nature and political processes. Many of us who have made our careers working in cities have done so out of a strong sense of social justice. This strong sense of social justice, at least for me, is a result of the persistent inequality visible in every city across the planet. Last month I wrote about my own personal journey in understanding how cultural racism had influenced my work over the last twenty years on equitable Transit Oriented Development (eTOD), without my even being aware. This month I delve into some ways that racism is baked into our systems, structures and institutions making it an incredible (but not insurmountable) challenge to overcome. Institutional racism refers to an institution making choices that intentionally single out or harm people of color. We see the result in the racially unequal accumulation of wealth and economic opportunity. A recent report by the Institute for Policy Studies, “Dreams Deferred,” highlights past and current racial wealth disparities. One of the most succinct and compelling summaries of the impacts to economic inequality resulting directly from systematic racism is provided in this episode of Vox’s Netflix series. 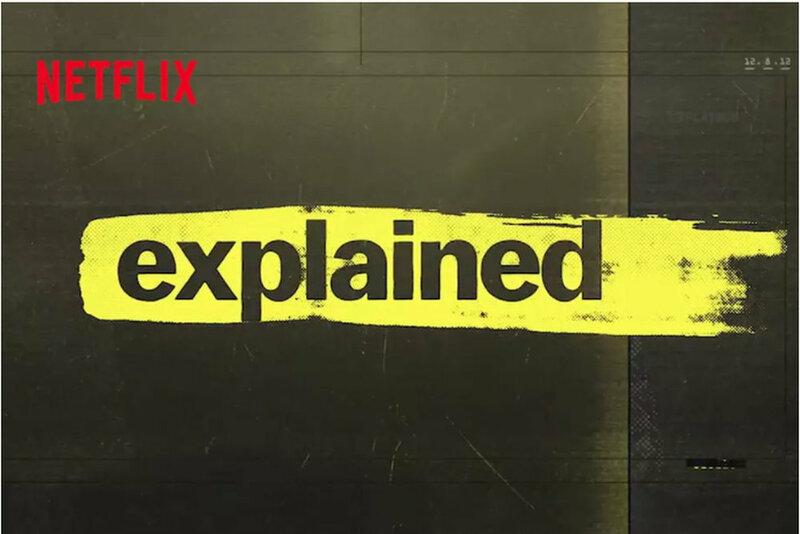 “Explained”. Repeatedly in my work with communities to advance development near transit, I see city leaders fail to understand the shifting market dynamics that TOD brings. New development is seen as the urban silver bullet to revitalize neglected communities and restore tax bases. For cities facing strapped budgets and capital needs that far exceed resources this is understandable. Yet in their quest to attract development, many cities give away tax incentives, fail to establish value capture mechanisms or prioritize land for community ownership or control. Costly public investments are made without methods in place to hold development accountable for delivering on promised benefits. Our institutions continue to prioritize public resources for private gain to yield public benefits. Therein, the cycle begins again with new investment happening at the expense of low-income communities who may themselves be displaced if the new TOD project and subsequent market-transformation succeeds. The irony is that despite the new development and increased property values, cities still find themselves without the resources to support community education, infrastructure, or housing needs that could provide greater economic opportunity for those most in need. One focal point for eTOD efforts is the need to address unequal access to capital to buy a home or business, and lack of tenant protections that renters – who are disproportionately people of color - face. One of my first major projects when I was with the Center for Transit Oriented Development was a federal study, funded by the US Department of Housing and Urban Development and the Federal Transit Administration to examine potential impacts of TOD on affordable housing. The resulting 2007 study, “Realizing the Potential: Expanding Housing Opportunities Near Transit” found that as “the market for transit-oriented development heats up and these neighborhoods prove popular with renters and buyers, there is an increasing need and challenge to ensure that development includes housing for all income levels .” This finding is still true, and gets at the core eTOD. Yet in undertaking our research and conducting focus groups to inform the analysis, we did not look at strategies to address the deeper reasons for why urban disinvestment and racial isolation had occurred in the first place within TOD neighborhoods. Our outreach was largely structured to target elected officials, transit and planning practitioners, community development organizations, and developers. We did not engage those residents living in the communities we were studying. This limited the impact, scope and urgency of our findings. Some of the neighborhoods I have done TOD work in over the years are those razed or scarred because of urban renewal or freeway construction decades ago. 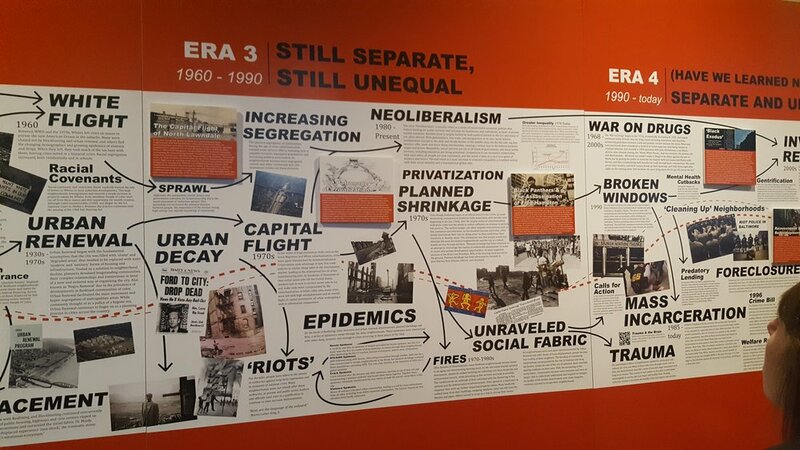 Decades of red-lining and public policy decisions on housing, education, transportation and economic development reinforce structural racism within all of these systems. The Rondo neighborhood in Saint Paul, MN and the Fulton neighborhood in Richmond, VA, are just two examples of where new TOD plans and improved transit service were introduced to communities with a painful urban planning and transportation history. Yet charrettes and planning assumptions brought to these communities in the early 2000s and even today emphasize new, immaculately-designed mixed-use buildings and walkable urbanism. Not enough attention is given to addressing the deeper structural racism that prevents many current residents from owning their homes or businesses. We need to do better at grounding TOD planning from its start in the needs, aspirations and assets that residents themselves identify. The TOD planning process is almost by definition an outside, government-managed process imposed on communities rather than driven and owned by community. The government is typically the client, and the project is often pre-defined. We fall into the trap of trying to convince the community that transit and TOD are the answer, and then asking them to help us tweak the explanation and buy into the argument. The irony is that improved transit and greater housing choices are most likely what the community wants as well, but it’s the process of engagement, trust and partnership with local residents and business owners where we often fall short. Attracting higher-income residents to transitional TOD neighborhoods is typically accompanied by efforts to improve the appearance of safety and “whiteness” in a community. This may materialize through increased policing or private security guards, greater parking restrictions, a crack down on loitering and other policies driven by local government to support this new market development, or by the private developer or property manager charging higher rents. Governments may pay for new parks, streets or sidewalks to make the project pencil out for the developer. Of course, these elements also benefit the community and may not likely happen without the new development. Yet the conversation and negotiations that occur are too often driven by the developer, with few cities still being comfortable to ask for community benefits in return. We are also seeing displacement occurring as a result of investment in parks, as they become a precursor to gentrification. Just as community opposition to freeway plans, like those led by Jane Jacobs in New York or Meeky Blizzard in Portland, led to a radically reformed transportation planning process that now requires community engagement (or at least public participation), recent experience in communities like Rondo and Fulton are transforming approaches to TOD with racial equity and community benefit as the starting point, not an afterthought. Community advocates in regions facing an affordable housing crisis, or TOD-catalyzed gentrification are stepping out to demand change. Equitable TOD (eTOD) is the new rallying cry. Just as the myriad of ways that structural racism presents itself varies from community to community, the ways in which local advocates are deploying equitable TOD strategies is equally diverse. Within the six regions supported by the Strong, Prosperous and Resilient Communities (SPARCC) challenge, a variety of approaches to advancing eTOD is emerging. I was recently in Chicago for the eTOD Summit convened by Elevated Chicago and came away incredibly encouraged about our shared potential to realize equitable development near transit. This is hard work. It requires cross-sector collaboration that puts communities of color in the lead to own and drive the process. Elevated Chicago’s work can create a new, and long-overdue path towards urban racial justice. Community development organizations and intermediaries are rethinking how they engage in TOD. The Federal Reserve Bank in San Francisco is elevating eTOD within the larger financial services community. Community Development Finance Institutions like Enterprise Community Partners and the Local Initiatives Support Corporation (LISC) have created a series of materials to inform local community partners and perhaps more importantly, to transform investment decisions by funding partners including public agencies and private lenders. They are also piloting new financing tools to support land acquisition, gap financing and more patient capital. Transit agencies in places like Los Angeles, Atlanta, Seattle, Boston, and the San Francisco Bay Area, are being transformed by community-led eTOD advocacy campaigns. Through newly-adopted policies these transit agencies are committing themselves to prioritize affordable housing and redefine transit to center it on mobility and community. The Federal Transit Administration is supporting eTOD efforts in a number of other emerging transit regions through Smart Growth America’s TOD Network. Communities themselves are creating and testing new models for demanding and evaluating eTOD. In Chicago, the Metropolitan Planning Commission in partnership with local advocates is using a racial equity assessment and piloted their Corridor Development Initiative in two transit-rich hubs. The Center for Neighborhood Technology has created an eTOD social impact calculator. In the Twin Cities, local advocates created an Equitable Development Scorecard to evaluate development proposals. Perhaps the most compelling example of eTOD success is the Fruitvale station in Oakland where decades of community leadership, ownership and investment have catalyzed a vibrant, inclusive and opportunity-rich neighborhood without displacement of low-income residents and business owners, most of whom are people of color. Fruitvale was one of the early TOD projects CTOD highlighted as a best practice for other communities to learn from and adapt to fit in their community. It remains a model to learn from – not only in the development product but in the community process that has endured and continues to evolve. Each day brings new resources and models for creating equitable TOD, starting with a more equitable transportation and development planning process that is embraced, owned and shaped by the community and ending with new community ownership models and wealth creation strategies. My personal evolution continues with acknowledging my role and responsibilities as a planning consultant working with communities to ensure that TOD efforts are inclusive and work to break down entrenched racial barriers. Regardless of your race, class, or how you engage in the eTOD process we all have the opportunity to learn together.